Located in the Windward area on McGinnis Ferry Road, Mangia Ristorante & Pizzeria is the best pasta in town, sandwiches, wings, and freshly made salads. Located in the Windward area on McGinnis Ferry Road, Mangia Ristorante & Pizzeria is open from 11am everyday for dining in, take-out, and delivery. The menu includes authentic New York-style pizza, the best pasta in town, sandwiches, wings, and freshly made salads. To bring a tasty Italian flavor to your next party or Corporate event, Mangia Ristorante & Pizzeria also offers professional catering. Grab your friends and family, and come. Grab your friends and family, and come to Mangia Ristorante & Pizzeria where owners Evie & Chip Crawford and their highly trained staff will treat you to a great dining experience! Deep fried mozzarella cheese served with our marinara sauce. Delicately fried calamari served with our marinara sauce. Cornmeal dusted pickle slices served with a Cajun remoulade sauce. One bite and you’re hooked! Served with a very special sauce Heinz ketchup! Fresh baked rolls topped with a touch of garlic oil, parmesan cheese and parsley. Once you start you can’t stop! Served with honey mustard dipping sauce. Addictive! Diced tomatoes, seasoned with fresh basil and olive oil. Served with garlic toast. Fresh greens, tomato, cucumber, feta cheese, kalamata olives, pepperoncini peppers, red onion and house vinaigrette. Fresh greens, tomato, cucumber, pepperoncini and red onions. Fresh leafy spinach tossed with bacon, mushroom, glazed almonds and egg in a bacon vinaigrette dressing. Field greens tossed in a mango-pineapple vinaigrette dressing, with grilled or blackened chicken, crumbled Gorgonzola cheese, cran-raisins and glazed almonds. Fresh greens with ham, salami, cappicolla, provolone cheese and tomatoes, tossed in vinaigrette dressing then topped with roasted red peppers, pepperoncini and kalamata olives. Field greens with grape tomatoes, gorgonzola cheese, fried jalapenos, grilled or fried buffalo chicken with choice of mild, medium or hot wing sauce. Fresh mozzarella cheese, tomato, basil, extra-virgin olive oil & balsamic glaze. A traditional salad made with Romaine lettuce, Caesar dressing, parmesan cheese and croutons. Field greens, crumbled feta cheese, kalamata olives, roasted red peppers and sun-dried tomatoes tossed in a raspberry vinaigrette dressing. Field greens tossed with red onion, grape tomatoes and house vinaigrette dressing then topped with gorgonzola cheese and a grilled rib eye steak. Crisp wedge of Iceberg lettuce with blue cheese dressing, gorgonzola crumbles, warm bacon crumbles, grape tomatoes and shaved red onions. Delicious chicken wings served the way you like ‘em. Served with Blue Cheese dressing and celery sticks. Ham, salami, capicola, provolone cheese, lettuce, tomato, oil and vinegar. with lettuce, tomato and Cajun remoulade. Our signature steak grilled to perfection topped with sautéed onions, mushrooms and provolone cheese with pesto mayonnaise. Our traditional Greek salad with grilled chicken all wrapped together in a spinach tortilla. 6 miniature meatball sandwiches with marinara sauce and mozzarella cheese. Grilled chicken breast topped with roasted red pepper, mozzarella cheese and pesto mayonnaise. An 8oz. 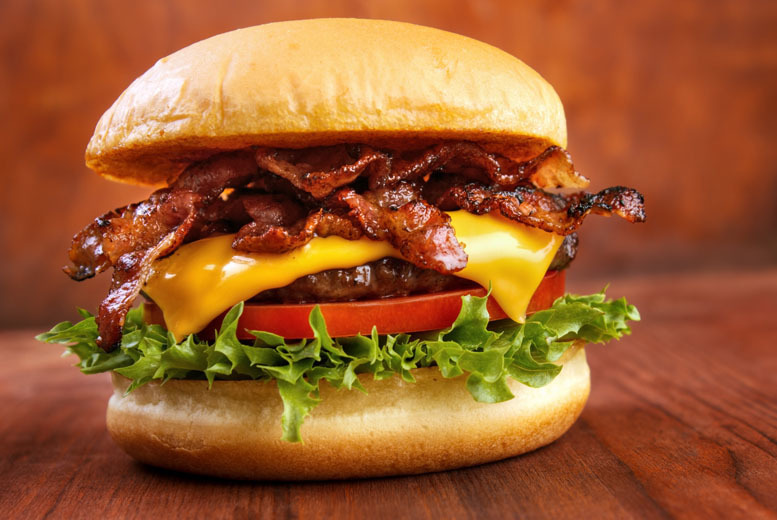 100% angus beef burger served with lettuce, tomato and onion. Grilled chicken breast topped with melted provolone cheese, sauteed onions, mushrooms and bacon with side of honey mustard. Our traditional Caesar salad (minus croutons) with grilled chicken al wrapped together in a spinach tortilla. Topped with meatball, sausage, pepperoni, ham and bacon. 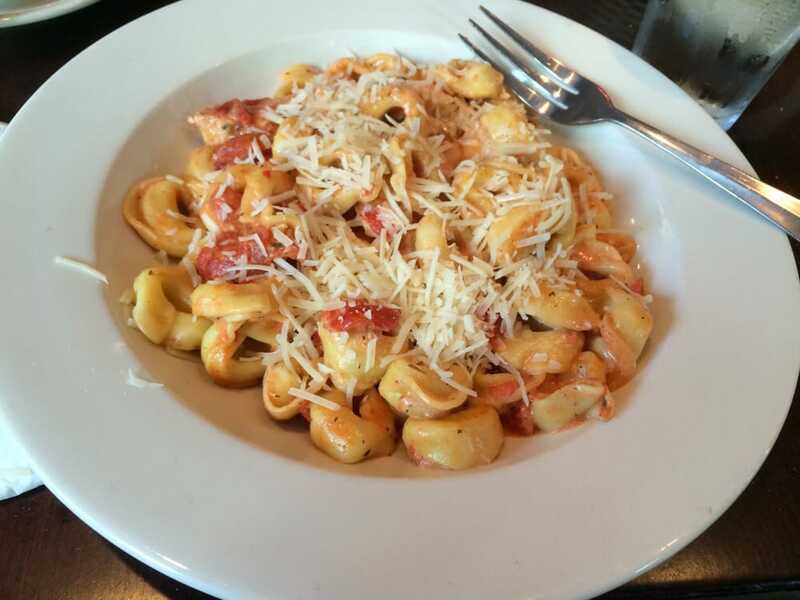 Topped with artichoke hearts, fresh tomato, and gorgonzola cheese. Topped with spinach, tomatoes, onions, mushrooms, broccoli, green peppers, artichoke hearts, and cheese. Topped with ricotta and mozzarella cheeses with fresh garlic and oil. NO red sauce! Our white pizza with grilled chicken and sundried tomatoes. Topped with pepperoni, meatballs, sausage, ham, green peppers, mushrooms, black olives, garlic, onions, and extra cheese. Grilled chicken, Mangia wing sauce, blue cheese dressing and mozzarella cheese. Topped with kalamata olives, fresh tomatoes, artichoke hearts, garlic and feta cheese. Our traditional cheese pizza topped with our signature baked ziti meatballs and extra cheese - A house favorite! “You’ve got to try this one”. Topped with sauteed steak, onion, provolone and mozzarella cheeses. Barbeque sauce, grilled chicken, mozzarella and provolone cheese, red onion and cilantro. Pesto sauce, grilled chicken, roasted red peppers, and mozzarella cheese. Topped with fresh basil, sliced tomato, garlic and oil, and mozzarella cheese. Our traditional white pizza topped with sliced roma tomatoes and fresh basil. Our traditional White Pizza, with sauteed garlic shrimp and capers. 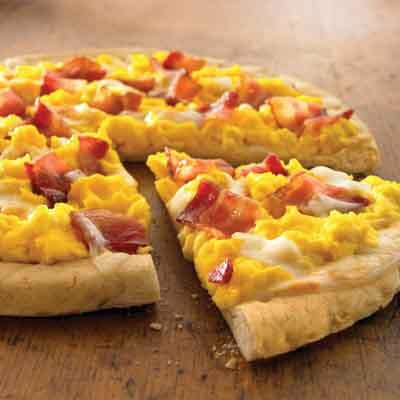 Mozzarella cheese, bacon, sausage, ham and scrambled eggs. Pizza dough stuffed with ricotta and mozzarella cheeses, baked until golden brown, and served with a side of marinara sauce. Our pizza dough rolled and stuffed with meatball, sausage, pepperoni, mushrooms, peppers and mozzarella cheese. Served with marinara sauce on the side. Our dough rolled and stuffed with grilled chicken, mangia wing sauce, blue cheese dressing and mozzarella cheese. 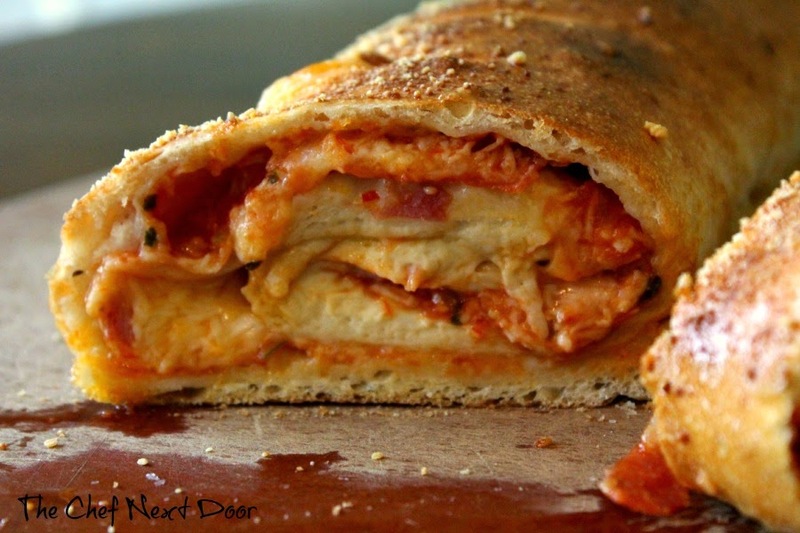 Our dough rolled and stuffed with our traditional Chicken Parmesan. All pasta dishes served with 2 garlic knots Gluten free pasta available upon request. This dish is absolutely fabulous! Penne pasta sauteed with garlic, kalamata olives, broccoli, sundried tomatoes, olive oil, and a dash of hot pepper topped with feta cheese. No red sauce here. Ziti pasta blended with ricotta and mozzarella cheese in our marinara sauce, then baked to perfection! We take our traditional baked ziti and add fresh eggplant, mushrooms, and meat sauce. Excellent! Extra large pasta shells stuffed with seasoned ricotta cheese. Then topped and oven baked with mozzarella cheese and marinara sauce. Made from a blend of fresh cream, butter, and parmesan cheese. Excellent flavor! Mama’s specialty! Layered pasta, homemade meat sauce, and ricotta cheese, then covered with melted mozzarella cheese and marinara sauce. Magnificent! Pasta pillows stuffed with ricotta cheese and seasonings, then covered with our tasty meat sauce and spiked with chunks of meatballs. Pasta pillows stuffed with fresh ricotta cheese, herbs, spices and topped with mozzarella cheese and our marinara sauce. Penne pasta with grilled chicken, mushrooms, peppers, onions, fresh garlic, and our marinara sauce. Now that’s Italian! Delicious cheese filled tortellini pasta sauteed in our homemade cardinale sauce (meat sauce with a touch of cream and romano cheese). Excites the taste buds! Penne pasta sauteed with a creamy tomato sauce, fresh tomato, and a touch of vodka. Spaghetti with broccoli, sun dried tomatoes and grilled chicken in a pesto cream sauce. Pasta filled and rolled with fresh ricotta cheese, herbs, spices, and smothered with mozzarella cheese and marinara sauce. Whole wheat penne pasta with sauteed yellow squash, zucchini, broccoli, pepperoncini slices and marinara sauce topped with feta cheese. Breaded cutlet topped with mozzarella cheese and our marinara sauce. Served with a side of spaghetti marinara. A tender breaded cutlet topped with mozzarella cheese and our marinara sauce. Served with a side of spaghetti marinara. Breaded eggplant topped with mozzarella cheese and our marinara sauce. Served with a side of spaghetti marinara. Boneless breast of chicken sauteed with fresh mushrooms in a marsala wine sauce served over spaghetti. A tender cutlet sauteed with fresh mushrooms in a marsala wine sauce served over spaghetti. Boneless breast of chicken, egg dipped then sauteed in a buttery white wine sauce served over capellini pasta. A light flaky fish, egg dipped then sauteed in a buttery white wine sauce served over capellini pasta. Our signature 12oz. ribeye grilled to perfection and served with your choice of 2 side items. An 8oz. filet grilled or blackened with fresh herbs and spices served over sauteed spinach with your choice of one side item. Shrimp, artichokes, tomatoes and spinach sauteed in a lemon white wine demi glace over penne pasta. Grilled chicken, broccoli, sundried tomatoes, balsamic pan gravy, goat cheese, toasted pine nuts over penne pasta. Creamy Logans Turnpike White Cheddar Grits, with sauteed red and yellow peppers, scallions, mushrooms and shrimp with a lemon white wine demi glace. Large pasta pillows stuffed with lobster meat and ricotta cheese then covered with our tomato cream sauce. Calamari, mussels and shrimp sauteed in your choice of marinara, fra diavlo or lemon and white wine sauce over fettuccine pasta. Shrimp sauteed with garlic and lemon white wine demi glace, tossed with capellini pasta. with 2 Garlic Knots and a Fountain Drink Choose from Greek Salad with Grilled Chicken,Antipasta, Grilled Chicken Caesar, Tropical Tossed Salad $8.95. Two large eggs, ham, and provolone cheese on ciabatta bread. Served with breakfast potatoes. Three eggs any style with breakfast potatoes, toast and choice of bacon, ham, or Italian sausage. Mangia will gladly try to accommodate any special needs or requests for your catering event! Bone-in or Boneless - Delicious chicken wings served the way you like ‘em. Served with Blue Cheese dressing and celery sticks. A traditional salad made with Romaine lettuce, Caesar dressing, parmesan cheese and croutons. Dressing on Side. Field Greens, crumbled gorgonzola cheese, cran-raisins, glazed almonds and mango pineapple vinaigrette dressing. We take our traditional baked ziti and add eggplant, mushrooms, and meat sauce. Penne pasta sauteed with garlic, kalamata olives, broccoli, sundried tomatoes, olive oil, and a dash of hot pepper topped with feta cheese. No red sauce here. Spaghetti with broccoli, sun dried tomatoes, and grilled chicken in a pesto cream sauce. Breaded cutlets or eggplant slices topped with mozzarella cheese and our marinara sauce. Boneless cutlets sauteed with fresh mushrooms in a marsala wine sauce. Choose from Miniature Cannolis and Two Bite Fudge Brownies. Call (770) 619-9797, book online with Chow Now, or Slice. Looking for some good local brews? Look no further! We have you covered at Mangia Pizzeria! Want to have an amazing dinner at home? We Deliver!